Sheaffer LEGACY I Fountain Pen ! Perfect Sheaffer with Lifetime White Dot. 18K gold nib. Some very slight using and storage signs. Its nib, its - Touch down - filling mechanism, and all pen works fully and excellently. Imprint on two sides of clips. imprint of its gold Fine nib is very clear. The nib has good amount of iridium and will write very smooth. 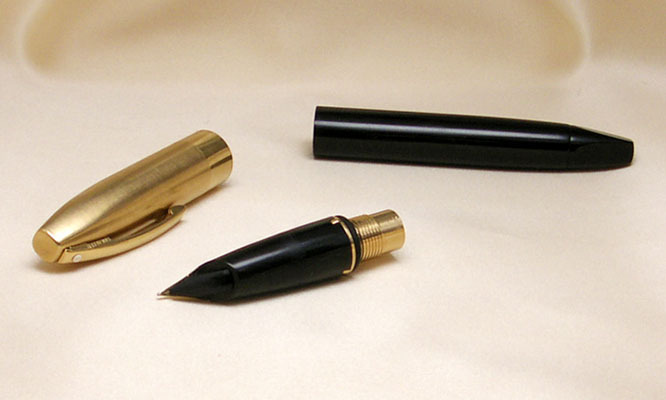 The pen measures 139 mm in length (capped), the cap is 14 mm in diameter and the barrel is 13 mm in diameter.